The Sunday Times is an entity in and of itself. Thick, heavy and filled with "sections" rich with meaty, pithy content. Every true New Yorker has their favorite section: Sunday Business, Arts and Leisure, Travel, Book Review, The New York Times Magazine, Sports Sunday, Real Estate, Week In Review, Sunday Styles, even Obituaries... everyone has a section they pull out and read first. Everyone has their own Sunday Times routine. My Dad's started Saturday evening, when, on the way home from dining out Saturday night, he would always stop at the corner newsstand to get the early Sunday edition, usually delivered by 10pm Saturday night. When I lived and worked in Manhattan, my own Sunday Times routine often started with brunch and a good Bloody Mary (or two). I'd organize the sections into my preferred reading order and dive in, starting with Arts and Leisure, and ending with Sunday Sports and the Magazine. If I was pressed for time, I would set aside (and never get to) the less essential sections. The comfort of the Sunday Times ritual was such that even when I moved north to Rockland County, and years later south, to Florida, I had the Sunday Times delivered to my home and did my best to continue the tradition. In time, I realized that Sunday Home Delivery of The Times outside of New York was a less than reasonable facsimile for the experience I knew and loved. The "Florida" version of the paper did not contain all the Sections and delivery service was sporadic at best. It just wasn't the same and before long I canceled my subscription, and, as a rabid consumer of online news both on my PC and mobile phone, I more or less forgot about the good old "Times." Since getting the Kindle 2 when it first came out, I have used it to read books and documents I send to it, but I had not tried reading any newspapers... until today. This morning I was poking around the Kindle Store when I realized I could download the Sunday Edition of the New York Times for only $.75, a fraction of what I used to pay for the Home Delivery version. So I did, and it was great. For the first time in years I enjoyed a lazy Sunday morning sitting on the couch, sipping coffee and reading all my favorite sections of the Sunday Times. I am already a big fan of ebooks in general and the Kindle specifically, and I found the electronic Sunday Times experience every bit as enjoyable as the papers of my past. I now know what my new Sunday routine is going to be. Time to break out the Bloody Mary mix! How about you? 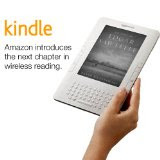 Have you tried reading the Sunday Times or other Newspapers on the Kindle? What did you think? If you don't have a Kindle, you can get one here . "Share, and share alike" could be the mantra for our age, as every one of us now has the tools and means to create and share media, anytime, anywhere, with or without a reason or purpose. Sometimes we post words, sometimes we post video, sometimes we post images. It does not matter. What matters is that everyone of us can create and share content whenever and wherever the mood may strike, and what we share, has instant global distribution. If digital photography represented an evolution in photography, then camera phones represent a revolution! Now almost everyone ALWAYS has a camera at our immediate disposal. Even more impactful is the fact that with a camera phone, not only is it ridiculously easy to capture an image anywhere and everywhere, but it is also just as easy to post that instant image to the Internet and share it with the world. I have always enjoyed photography and can still remember the excitement of my first SLR camera (and the challenges of properly loading a roll of film without "exposing" it). That said, the best pictures I have ever taken have all been taken since the "digital" age, and many of them were taken with a camera phone. I travel a lot, and try to memorialize my trips with pictures, and through sharing those pictures on services like FLICKR, TWITPIC and PIKCHUR. I have previously had two pictures I posted on FLICKR used in other publications as a result of posting them there. This picture of my (former) boat after Hurricane Wilma was used in the GULF STATES MARINE FISHERIES COMMISSION Annual Report to Congress on the storms of 2005. This picture I took in Colonial Williamsburg was used in the official SCHMAP!! East Coast Guide of Parks & Gardens. By far the most widely seen of my posted photos has been the photo above of a Kyocera "concept phone" that was on display at the CTIA show in Las Vegas. I took the picture in the Kyocera booth with my phone, a Sprint HTC Touch Pro , and promptly posted it to PIKCHUR.com, so that it would instantaneously be sent to my Twitter stream and posted to both my Facebook and Flickr accounts. (I have met some of the Pikchur team, including Emmanuel Pozo and Peter Martinez, at various South Florida Tech events, and, happy to support the local team, I have been using their slick service to share my images). What I never expected was that this image would be picked up by numerous blogs, including ENGADGET, as part of their CTIA coverage, and in all cases, I was happily given "photo credit" linking back to the image on Pikchur. With all the blogs using that image it was one Pikchur that was worth well more than 1,000 words! NEW Podcast! Like the movies? Listen to Wunderkind! Griffith Stein is a film nerd working as a projectionist at The Studio... He can recite the shooting script for CITIZEN KANE by heart, but he's never had an original thought of his own... until he becomes the next Hollywood wunderkind! Twitter + MyxerTones = TwitTones! Is There Really Such Thing As Failure? Become A Fan of Social Networking Rehab! 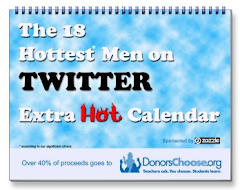 BUY a CALENDAR For A CAUSE! This time its personal! This blog, I mean. The articles, opinions, views, and corny jokes that appear on this blog are mine and do not reflect the opinions of my employer or anyone else. I hope you find what I have to say thoughtful, inspiring, entertaining, and at the very least not boring. Of course, that will not be the case for everything or everyone here, but if you've scrolled down this far and are actually reading this "disclaimer" then I hope you are among those that have found something of value amidst the musings of this sasshole. If so, please leave me a comment and let me know you care. On the other hand, if you are among the bored and confused, I can't imagine why you are reading this. There are 52 kazillion other ways for you to kill time on the Internet. I suggest you find one.